In the past 10 years, our nation has seen an alarming decline in telephone calls. A recent poll of seven customers waiting in the express line at a local Publix, one of whom had over 10 items, revealed that zero out of seven Americans enjoy communicating via telephone. Six out of seven haven't initiated a call to friends or family since November 8, 2016. Why, then, have telephone calls gone the way of Western Union, dit, da dit, da dit? Communication scholars still aren't sure, but by merely referencing anecdotal evidence, I think I can shed some light on this quandarious riddle of a baffling enigma. 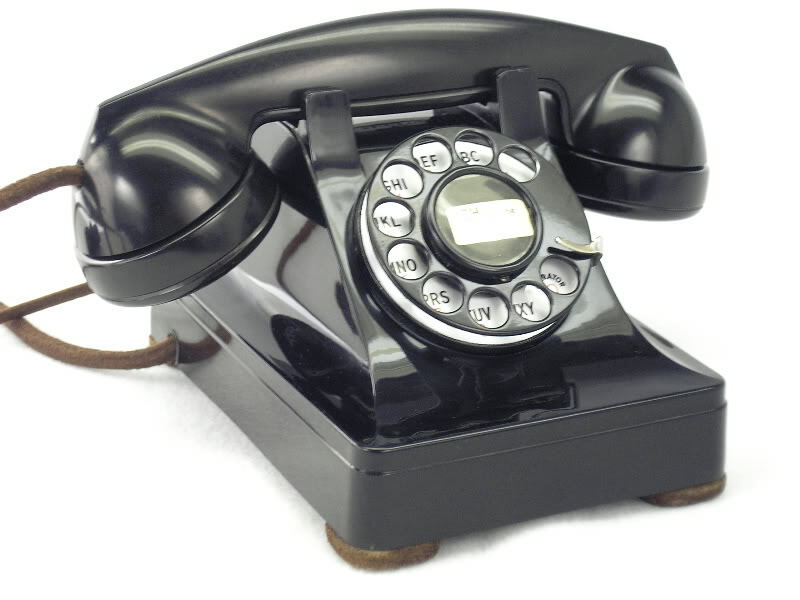 First, some people, even old ones, have never enjoyed talking on the telephone. 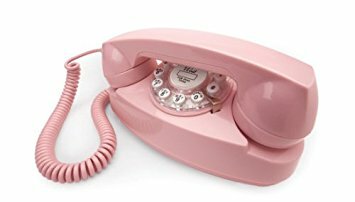 For the first 13 years of my life, I didn't enjoy telephone conversations because we didn't have one, my dad apparently holding off till the technology had been perfected, and while we waited, my cousins became the first people in their Cherry Lake neighborhood to have a "phone," as they casually called it. "Phone"! Oh, already an endearing informal nickname for your new toy! When we heard about their ascent into the future, we dropped by their house without even calling. Their entire family -- mom, dad, two pre-school daughters, a gangling and acne'd 12-year-old boy, and a sulking 18-year-old girl who eventually ran a fertilizer plant in Jasper -- all guided us into the kitchen, and we gathered there to stare at the magical voice-sender as if it were the Holy Grail, a dull, heavy, black Holy Grail with a stubborn dial. We weren't allowed to touch it. So I was waaay out in front of the No More Phone Calls movement. Phone calls disappoint me for many reasons. They pretend to bring speaker and listener together, obliterating all the roads, rivers, bridges, boats and ducks between the two, creating a warm, intimate atmosphere, like that inaugural event in 1876 when Alexander Graham Bell spoke those historic words into a receiver, "Mr. Livingston, I presume?" But I don't get that face-to-face feeling. The voices have been remastered from their lips to your ears. "How nice to hear your voice again" is a lie. It isn't "your voice." It's a pretend voice emanating from a labyrinth, a snake pit of coils, wires, cables, bytes and pixels -- both of which can be mega or non-mega -- a galaxy of satellites and carrier pigeons! And the communication is partial at best. Even non-Italians use gestures, pointing, shrugs and slouches, eye-rolls, winks, head shakes and nods to complement, clarify, annotate and toneify their language. Without this nonverbal glossing, misinterpretation is inevitable, misinterpretations that typically lead to breakups, divorces, broken friendships, anxiety, depression, migraines, insomnia, and the occasional homicide. I've even seen people flip off the person with whom they were speaking! Cowards! I hope I don't sound like this. Phone calls also misrepresent a person's appearance. As you talk, you gradually compose an image of the other party formed by images retrieved from recent visits and flawed memory, then garnished with the fake voice. I can assure you that's not what the person looks like. By the end of your conversation, you grow weary of looking at that face which exists only in your weak imagination. For an excellent example of this, simply read all six volumes (roughly 3,600 pages) of Marcel Proust's In Search of Lost Time. In one of them -- if you're lucky it's the first one -- he describes his first conversation on a telephone, and it's with his grandmother, and it contains even more insights than this piece. Phone calls are made even more irritable when your receiver/partner resents your doing other tasks while you're talking: "Hey! Are you washing dishes now? Do I not deserve your full attention?!" And forget about mowing your lawn! This makes talking on the phone similar to being stuck in traffic: You're alive and breathing, but why? I'll share a few things I've done to make time move more quickly, and here's where I hope my ribald friend Karl Isberg isn't reading this. If he leaves a comment below, in the name of all that's holy, don't read it! You'll be scarred for life, trust me. I once tried to calculate -- while keeping up my end of an endless conversation -- what LeBron James's annual income would be if he lived solely on the interest rate of a checking account, you know, if he kept all his money in that account. The rate would only be about 0.05%, but he has so much money . . . well, I never figured it out, but it ate up some time. I once googled the entire pitching staff of the 1961 Cincinnati Reds. I once googled every 19th-century POTUS's height and weight. And the difference between ping-pong and table tennis, pool and billiards, hot dogs and weenies, tortuous and torturous. 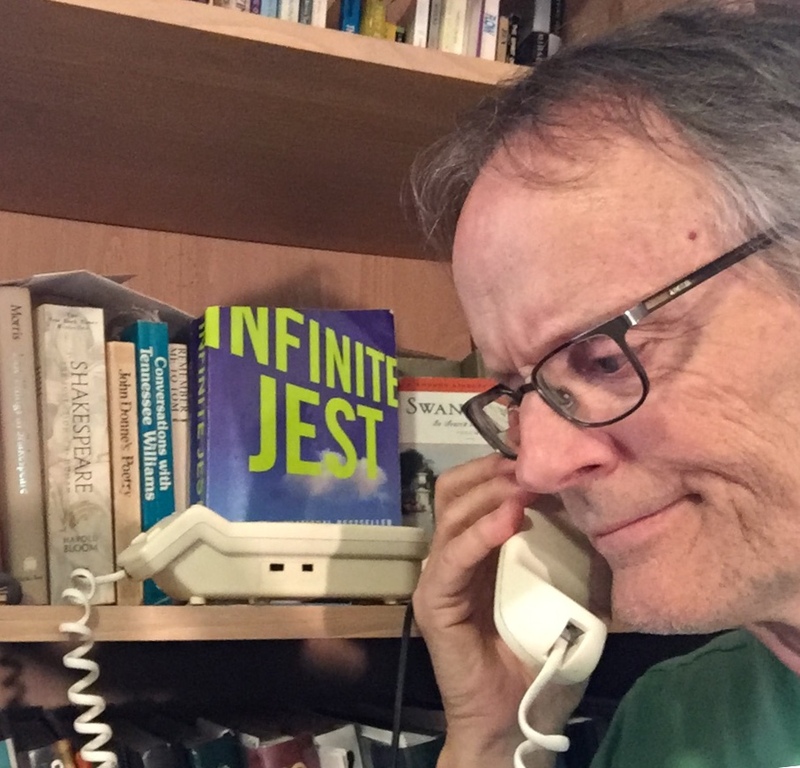 For more on the problem of multi-tasking while Skyping, see David Foster Wallace's pre-Skype Infinite Jest in which he accurately predicts the fall of video chats before they even gained traction. His novel, by the way, is a haiku compared to Proust's, weighing in at only 1,078 pages when you include the 388 footnotes. Anyway, the real question here is, "Why are people making fewer phone calls these days?" I think I already said, "Communication scholars still aren't sure." Karl would say, "I think I know what you were doing, Starling." Sorry I had to say it for him.